Finding the right All-Season tires for an affordable price for your car can be tough. For the ones that do not know much about cars, they’re all black and round. Well, that’s not the case. I work as a mechanic, and I will help you to choose good tires for an affordable price for your car. 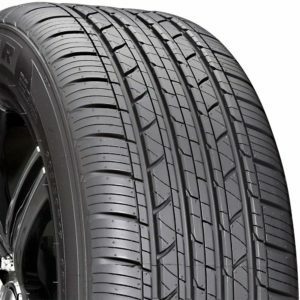 These tires in this list are not the cheapest ones, but of excellent quality, and in my opinion, tires are a thing that you should not look at the price and choose the most affordable. Remember that the tires are the only thing that has a connection between you and the road, so you do not want to drive around with low-quality tires. It can be the difference between life and death. Follow the guide down below, and you will learn the specifications and prices of each tire. 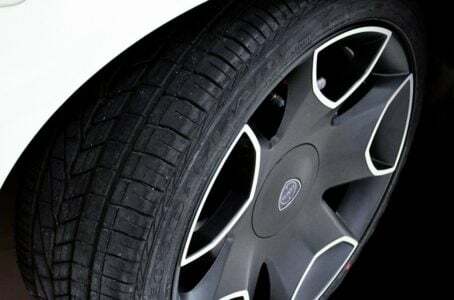 Here is the list of the Best All-Season Tires 2019. All these tires are available in the most common sizes for regular road use and are used as summer tires in colder countries. The tires and prices will be found on Amazon. Make sure that you choose the right size of the tire before purchase, and if you want four tires, you have to pick 4. The prices are for each tire. Click the links and then choose the right tire size. Hankook is a known company for making good tires, and this is also the case for this tire, even if the price is low. This tire is an all-season tire, and it will give you good performance in all type of weathers. It uses a Solid rib which enhances the braking and gives you a perfect contact pressure to the road and gives you a high-end steerability of your vehicle. It uses a Y-shaped tread channel which efficiency sweeps the water away which will minimize the risk of an aquaplaning. 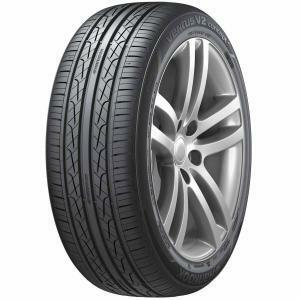 The tire size on the link is 205/65-16, but the Hankook v2 is available in a lot of different sizes if you search for it at the link at Amazon. 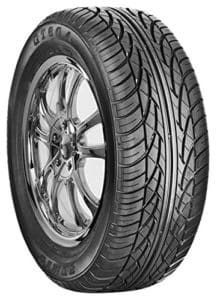 This tire is a high-performance tire for a very reasonable price from a well known and trusted company. That’s why we place this tire at the top of our rankings. The ranking for previous customers is the whole 4.7 of 5 stars out of 44 reviews which is an impressive result for a such right priced tire. 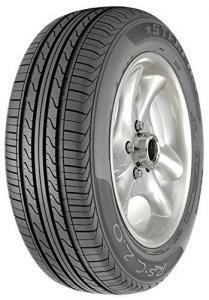 Also, the Milestar MS932 is a high-performance All-season tire for a very reasonable price. With the impressive rating of 4.6/5 stars from 130 customer reviews, we can tell that this is a high-performance tire for a low price. The Milestar MS932 is the best-seller tire on Amazon, and it will fit right to the most kind of cars. This tire gives you excellent comfort and stability, and at the same time, it gives you performance and sporty handling when you need it. It was a tough choice of the 1st place between the Hankook tire above and this Milestar tire and what gives the Hankook the first place is the Y shaped tread channel which can give you a bit better performance in some situations. You have to know that the Hankook tire is more expensive tho. The Sumic tire is probably not a very known brand to the most of us. But it’s one of Amazon’s most sold tire, and it has a massive amount of positive reviews. It gets 4.5 stars out of 5 from over 150 customers. The Sumic tire receives a massive amount of positive review from colder climates where it should perform well because it’s an All-season tire like the ones above. It uses a tread block sipping which enhances the comfort and reduces the noise from the road a lot. A strong 4-rib tread pattern gives it excellent stability together with a high performance if you need it sometimes. The size of the tire at the link is 195/65-15, but you can choose between a lot of other different sizes if you need it. This is a low-mid budget tire which gives you what it promises and a lot more. Westlake is a well-known brand from us that are coming from the motorsport life, which also can give you a hint of the performance of the tires from these manufacturers. This tire on the link is a 215/60-16, but it’s available in the most different sizes. This tire is also one of Amazon’s most sold tire, and it gets 4.4 out of 5 stars from over 125 customer reviews. This tire would probably fit better for those in warmer climates as it does not get very high test reviews in snowy and more slippery roads, but it got a very high performance on dry summer roads, which might come from the motorsport side. This is a reasonably priced tire for those in a bit warmer climates that are not looking for an All-season tire. The cooper Starfire comes in the last place in our list. It is probably a bit over-priced tire in our opinion, and the other tires above would probably be a better choice. But, it’s still a good tire for the price and entirely something you can choose if you need the specific tire size this tire provides. This specific tire size on the link is 225/50-17 but is available at other dimensions down to 14 inches if needed. These tires have a good performance on dry roads but give a bit too high noise from the most of us. If you are interested in a more in-depth review, make sure to check out the video down below and make your decision. How do you choose the right tire size? If you want to find the right tire size for your vehicle, the best way is to check on the tires that are fitted on your car at the moment. If you look at the side of the tire, you will see something like 195/55 -15. The 195 is the width, 55 the height and 15 the inch of the rim. The inch is the most critical part of the size, and in many cases, you can use 205 instead for 195 for example if there is enough room for it on the car. There are also other signs like max speed and different classifications that you should take in mind when you are purchasing new tires for your car. Another way is to contact your local dealer to know which size and classifications you should have, but you have to make sure it’s the original rims fitted on your vehicle. Can I replace just one tire or do I have to replace all of them? You usually do replace at least two tires on the same axle at a time. If the car is front wheel driven and it’s the rear tires that are worn out, you can in some situations replace just one tire, but I recommend to succeed both on the same axle. On some four-wheel drive cars like Audi Quattro and BMW X-drive and more, you have to replace all four tires at the same time, because if the tire tread is different on the tires, it can damage the transmission on your car very bad. But in general, replace the tires on the same axle of the vehicle if it’s not 4wd. How do I know if my tires are bad? The most common thing people do is to check the tread on the tire to check if it’s time to replace it or not. A car tire is perishable, and I would say the maximum five years between the tire change. If you see cracks in the tire, it’s time to replace it a long time ago. The minimum tread by law depends on which country you live in, but in general, I would say if the tread is less than 3mm – replace the tires. The treads are essential to not go into aquaplaning which could result in severe accidents and may result in deaths. If your tires are old with cracks or have a tread under 3mm – replace them. Remember that the only thing between the car and the road are the tires, and you do not want to take any risks with these. What is the difference between expensive and cheap tires? The difference between a cheap and an expensive tire is most often the rubber compound and the main construction of the tires. Expensive tires usually do have a longer life and will give you shorter brake distance and better grip. Another common thing is also that the cheaper tires will have a lot of noise and may disturb you while driving. So in summary, expensive tires usually do have a lower sound volume, better grip, and longer duration. But not in all cases, mid-prized tires can often surprise us and get excellent test results. Always check test results of the tires that you are going to purchase before and check for sound-levels and grip etc. Are all-season tires good for both seasons? The all-season is a mix of summer and winter tires. Summer tires are better than the all-season in grip, duration and sound on summer roads and winter tires are better than all-season tires on the slippery road. If you live in a country where you do not have snow or ice often, but sometimes, an all-season tire can be a good choice for you. But remember that you will not get the same traction as a summer or winter tire in these conditions. I have a four wheel drive/Quattro/X-drive, do I have to replace all four tires when one is bad? Yes if you have a four-wheel drive BMW, Volkswagen or Audi for example, you do often have to replace all four the tires on your vehicle. If you are not doing it and have different treads on the tires, it may result in severe damages to your transmission, and the repair cost can be very expensive. My recommendation is to contact the authorized dealer of your car to make sure if you can replace only two tires or not, or check your repair manual. The only contact between the car and the road is the tires, so it’s not a good thing to scrimp on. Spend your money on good tires, and you will get better security, sound level inside the car and a longer duration of the tires. If you have cracks in the tires or a tread under 3mm, replace the tire. If your tires are over five years old, there is a risk that you are going to get cracks in the tires, and I do recommend to replace them. On some four-wheel driven cars, you have to replace all the four tires at once, or you may damage your transmission. 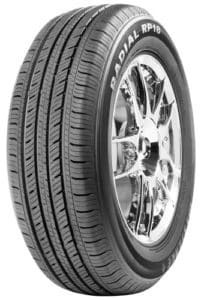 If you have any other questions about tires or want to tell your review of the tires listed above, leave a comment down below and I will answer them as soon as possible. If you have any other car questions, you are welcome to ask them to us at our homepage.